Embrace Your Inner Astronomer With This Moonlight Clock! 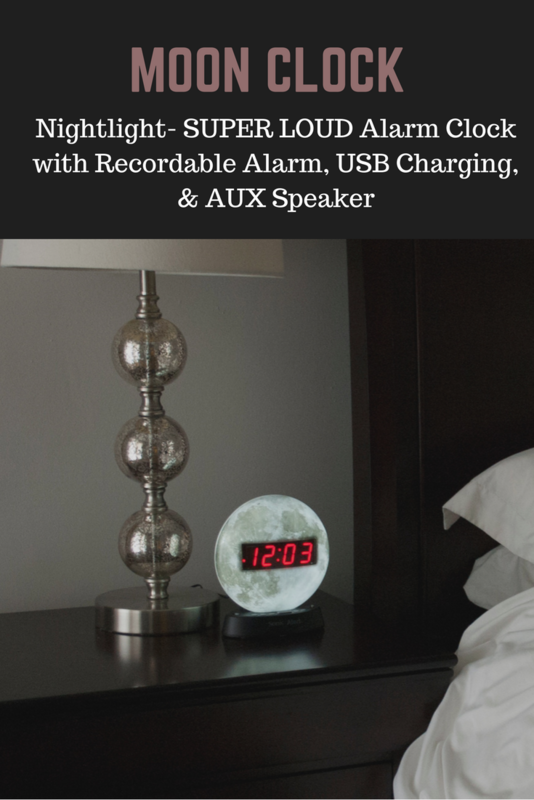 Wake Up From Dreams On The Moon With The Moonlight Clock! Do you dream of space? Have dreams of one day being an astronomer? Maybe, space is just one of your interests. 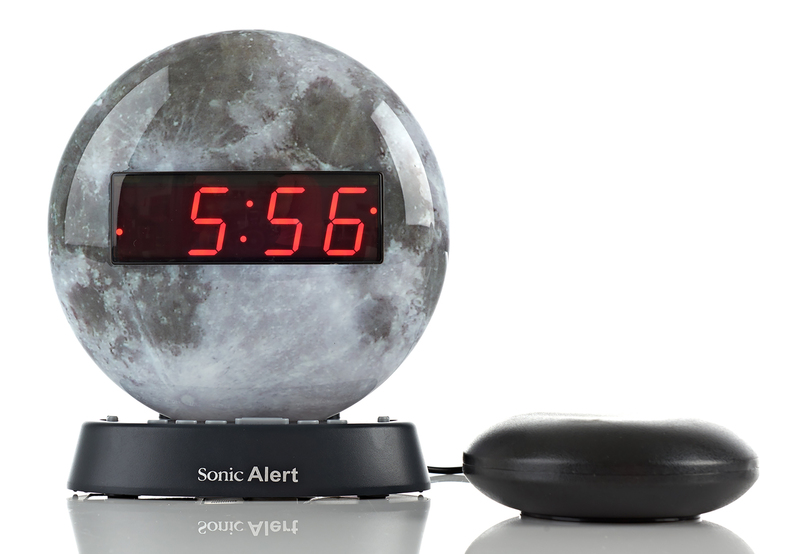 Either way, this moon alarm clock is perfect for you. Go to sleep to the peaceful and ambient sounds of the moonlight clock. 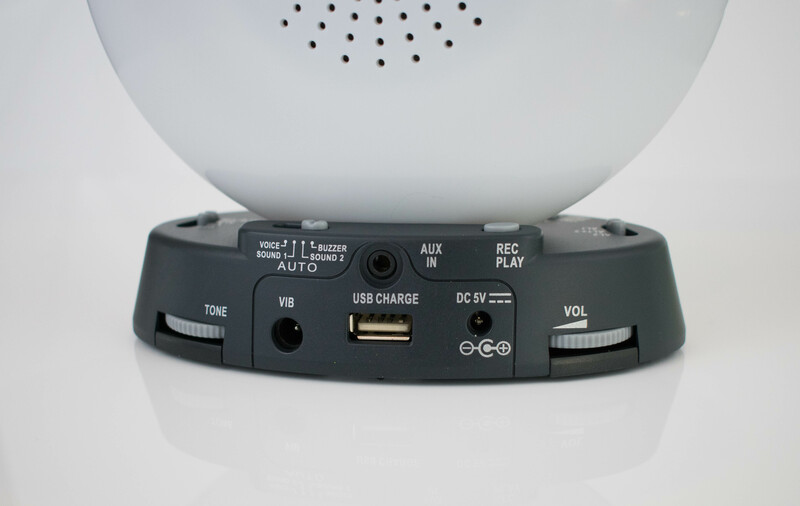 Complete with a recordable alarm and Sonic Bomb bed shaker, you can wake up up to an alarm you recorded or one of the three prerecorded one with the moon alarm clock. 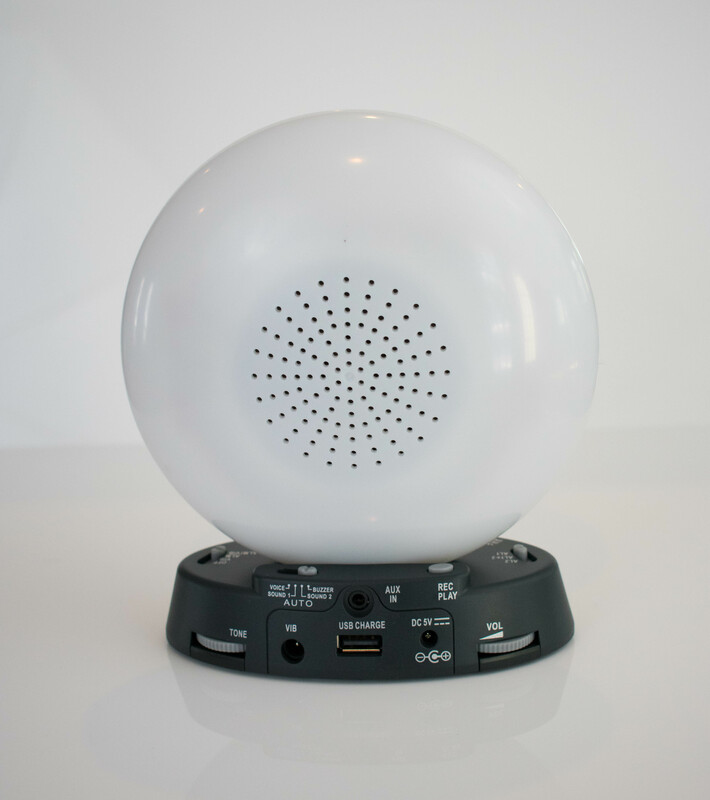 Your glow clock has a USB charging station and lets you jam to your favorite music via your cell phone or MP3 player. Wake up and start making your space dreams happen today with this glow clock! • Soothing ambient sounds to aid falling asleep. Stay up to date with our latest news and products. Your email is safe with us‚ we don‘t spam. © copyright 2018 Sonic Alert Inc..